A little after a year since we heard that Google’s parent company Alphabet was hoping to sell off robotics firm Boston Dynamics, it’s finally happened. The maker of Big Dog, Atlas and Handle is being sold to Japanese tech giant SoftBank, along with another robotics firm called Schaft – which Google acquired in 2013. The terms of the deal weren’t disclosed. Meanwhile, SoftBank is big on robots: it owns Aldebaran Robotics, which built the interactive bot Pepper that’s capable of reading and responding to humans’ emotions, entertaining people by dancing about, and even manning stores in Japan. The company’s home market is big on robots entering its workforce and providing convenience where possible. 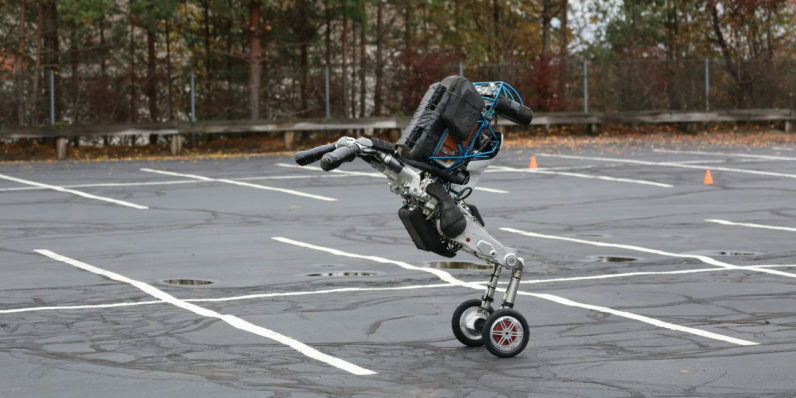 It’ll be interesting to see what Boston Dynamics is tasked with under its new owner. There are valid concerns about the innovative firm’s wings being clipped and the team being forced to make simple robots designed for basic interactions with humans, but that’s yet to be seen. If anything, we can take solace in the fact that SoftBank seems more ready than Google with plans to actually make use of a robotics company.